Cala Llonga, Ibiza. A picture postcard Farmhouse restaurant with a beautiful marquee, covered fountain terrace and stunning views of the pine valley below. Perfect for a stylish wedding reception or cosy intimate dining, with Austrian cuisine and innovative specialities. Also catering service for your own home party or celebration. A picture postcard Farmhouse restaurant with a beautiful marquee, covered fountain terrace and stunning views of the pine valley below. Perfect for a stylish wedding reception or cosy intimate dining, with Austrian cuisine and innovative specialities. Also catering service for your own home party or celebration. 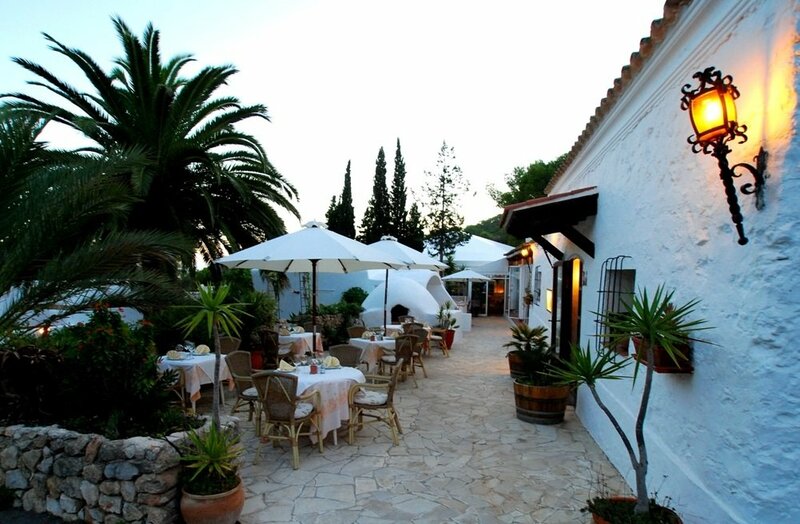 Situated in the Valverde Urbanization between Santa Eulalia and Cala Llonga, La Casita is popular with locals and tourists alike. This is a picture postcard old reformed farmhouse which has been serving delicious food for over thirty years. Its unique atmosphere and stunning views of the pine valley below make it the perfect venue for a cosy intimate dinner or special occasion. In addition, there is a covered fountain terrace and a beautiful marquee attached to the restaurant which allows La Casita to cater for larger celebrations, such as weddings and birthdays. Specialising in Austrian cuisine and innovative specialties, the restaurant also offers a high quality catering service for your own home party or celebration. Call us on +34 971 33 02 93 or send a booking request below.